Moneyball Sportswear is an athletic clothing line that specializes in making custom sports team uniforms. Desmond Ferguson, CEO Founder of Moneyball Sportswear, started the business in 2002. The store has been a great success with over 6,000 likes on Facebook, 4,000 followers on Twitter, and nearly 14,000 followers on Instagram. While the business has been growing, Ferguson himself did not start with those numbers. Throughout his middle school days, Ferguson worked as a barber in his mother’s basement to buy himself a car by the age of 16. His entrepreneur spirit was founded. After graduating from Everett High School, Ferguson earned his degree in Business Administration at the University of Detroit. While travelling to play basketball professionally, Ferguson had a lot of time to think about his career and how to invest his time and money wisely. That’s when the idea of starting up his own business came to mind. Ferguson is now focusing on his work with the athletic clothing line while coaching at his former high school. An attribute that makes this apparel shop stand out is their dedication to staying universal. 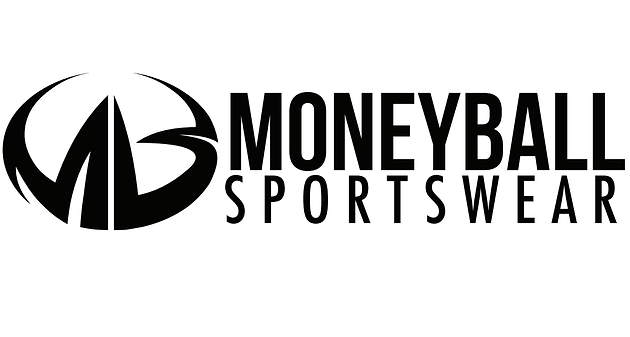 Moneyball Sportswear’s original logo was a silhouette of Ferguson shooting a ball, but Ferguson states, “I knew in order for us to grow, you can’t put a guy shooting a basketball on a soccer uniform or a baseball uniform. We started out doing t-shirts and doing basketball uniforms, but now we do uniforms for all sports.” Moneyball Sportswear is dedicated to men’s apparel, women’s apparel, and even kids apparel. During our interview, Ferguson expressed his passion in playing sports and how he turned it into a business. Focusing on Ferguson’s background and where it all began, we discussed his future goals for Moneyball Sportswear as well as the accomplishments he achieved in his lifetime. I always had a drive to try to be successful in anything I did and I enjoyed challenges in things that I was passionate about. Sports was always something that I was passionate about. I still wanted to be involved in some shape, form, or fashion in being in a business that still allowed me to be involved with sports. How long have you played for? What made you want to coach? About twenty years. The only reason why I’m a coach is because of the unique opportunity to come back and coach at my hometown. You could have gave me the best high school job anywhere in the country and I wouldn’t take it, but the simple fact to come home and coach at Everett, the school that I played at and had so many fond memories…it was a challenge for me. I wanted to see my high school do well. It’s a unique situation to coach. I don’t have goals to be a college coach or pro-coach. I don’t know too many people that have the chance to play at their high school, play college, play professionally and come back and coach at their own school. It’s just a very unique situation and it also gave me something to look forward to after I got done playing and still being involved [in basketball]. What are some events in basketball that have shaped you into the person you are today? One of the most exciting moments for me was playing in the NBA. Reaching my lifelong goal and playing overseas was great. To play against people that I looked up to or seen on TV was great, like Kobe Bryant or Tim Duncan. That was a highlight of my career. Then being able to do a free basketball camp…that’s the thing that I’m most proud of. When I first did it for free, people said “Why are you doing it for free? You setting up to charge them the next year?” It’s never been about money. People can say good and bad things about anything, but when it’s something that’s pure like doing the free basketball clinic, that’s probably the most thing I’m proud of. And it’s not exactly a “playing basketball” moment, but just from a life standpoint. What makes Moneyball Sportswear different from the other Sportswear places in Lansing? I think we have a unique name. Moneyball is a nickname that was given to me at an early age. Really what separates us from competitors and other businesses is our custom uniforms, our pricing, and our quality. You’re not too often going to find companies that can do design that we can at the price we can. And then our customer service and how we want to continue to be involved with the community. A lot of businesses will take from the community but they don’t give back to it. We want to make money but at the same time be able to give back. I like to invest in the community because I’m a product of Lansing, Michigan. I’m a product of the community of Everett High School and Gardner Middle School. I want to be able to give back to some of the kids. How long did you think of starting up this business before it was started? About a year of a process. We’re nowhere near where I want to be as a business. In my eyes, we’re still growing, we’re still crawling. We have a long way to go and a lot more things to add to the business. It’s crazy because I tell people that I’m not a big risk taker. I’d rather bet on myself as opposed to something that I really have no control of. The risk and reward is even if I didn’t have so-called success or made money, I know I gave my all and then I’d move on from that. It’s been risky, but it’s a risk you have to take. Calculate the risk. But that doesn’t mean there hasn’t been setbacks. There has, but that’s part of life and that’s part of business. Were there any obstacles starting up the business? Who did you reach out to? Definitely, I didn’t know what type of business I was going to start. This wasn’t a lifelong goal or a plan at the starting line. I started letting family and friends know, made them some t-shirts, and let them know what I was doing and where the concept came from. I played basketball for years, I know a lot of guys that went on to coach basketball or knew athletic directors so we built some good relationships. It’s always been some adversity and overcoming obstacles. We had financial obstacles to overcome. Then just overall getting the word out there. Marketing and advertising: Here we are in Lansing, Michigan. How do we let somebody know in San Diego, California that we even exist or in Montana or Florida? Do you have any future goals for Moneyball Sportswear? How did you market it? My goal is to make Moneyball the #1 sportswear company in the world. I’m not in it to just be in it. Anything that I do, I want to be the best. If I don’t end up #1, then we’re still going to be doing pretty well. I want to aim for the highest as possible. No half-doing it. As far as marketing, when you’re a small business it’s tough because you don’t have huge budgets to work with and spend. Really, our best form of marketing has been word of mouth. We want to treat the customers that we do have gracefully. Spread the word about us. And then like we said with the Internet, you’re able to do so much with Facebook, Instagram, Twitter, and even email marketing. We do the Moneyball Pro-Am …we got a lot of press off of that. Being able to get free press helps us grow as well. What advice would you give to young entrepreneurs or anyone wanting to go into entrepreneurship? Do it. Make it happen, because so many people will talk about it for years and years and years. Next thing you know, life is gone and you’re like “Man, I should have done it then.” Experience is the best teacher. We go to school to get an education and learn different things, but any job you have, you’re going to learn on the job. So you have to get real life experience. Bump your head and make mistakes. I was twenty four when I started my business. Fairly young and I made mistakes, but I learned from those mistakes that allowed me to grow. Do what you want to do. So often people will listen to others and that can kind of deter them from doing something. We’re all in business to make money, but if you got a passion for something that can be a business, that you would do even if you didn’t make money, then go after it. It’s never too late or it’s never too early to start a business. I think a lot of people want to be entrepreneurs and talk about it, but put those words into action and then you do a little bit each week, each month, a year. At first, I was playing basketball here. It started off as a hobby, then it started off as a little side hustle, then it turned into a legit business. It was a process. I didn’t know where we were going, but the more we got involved with it the more I wanted to be involved with it. The more I wanted to grow it. Just keep at it and don’t be afraid of failure, that’s the main thing.